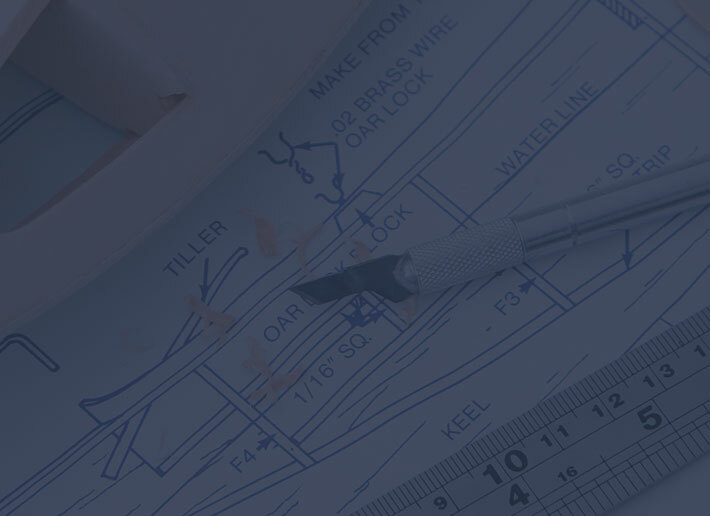 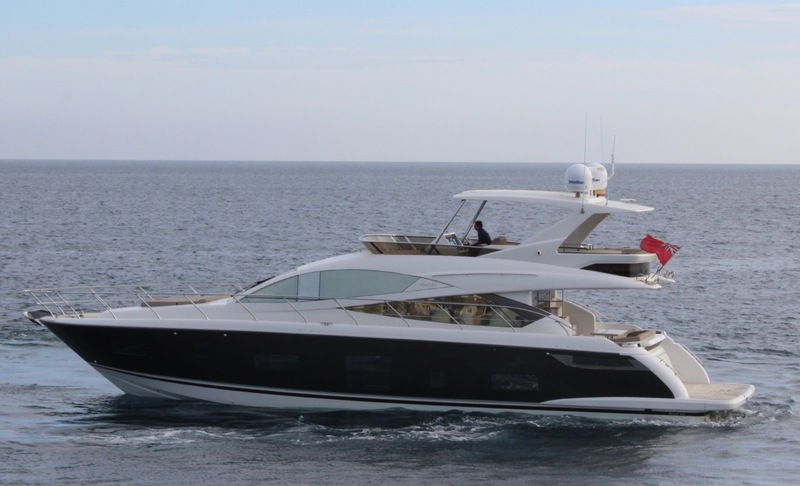 Pearl 65 continues Bill Dixon’s design ethos of beautiful craftsmanship with cutting-edge innovation and superb seakeeping. 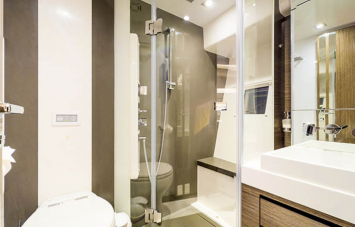 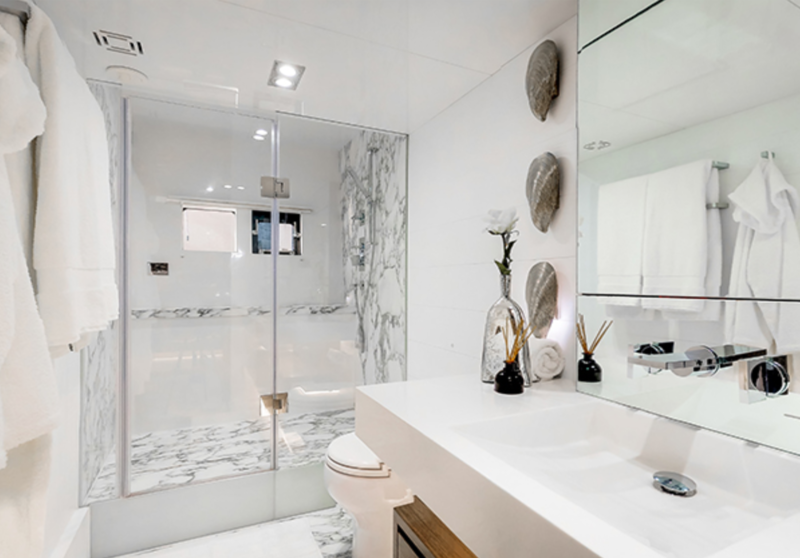 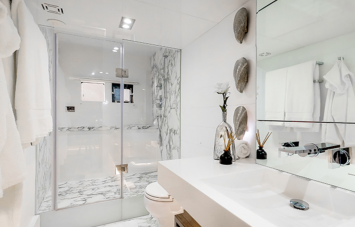 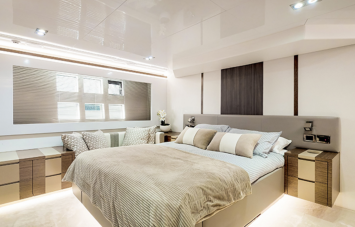 The interior is set off by Kelly Hoppen’s famously stylish, effortlessly calming decor. 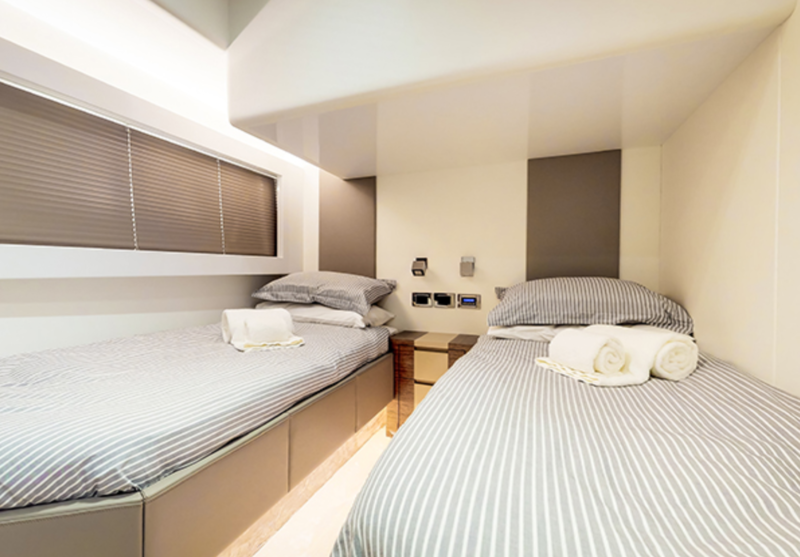 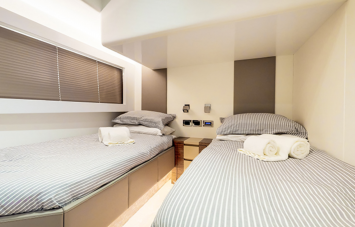 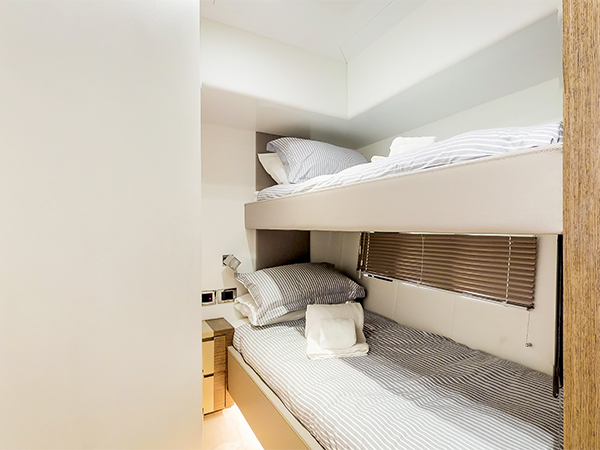 Add to that further accommodation for two crew, and you’ll find everything you need for the most memorable of experiences. 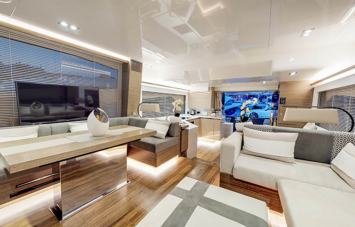 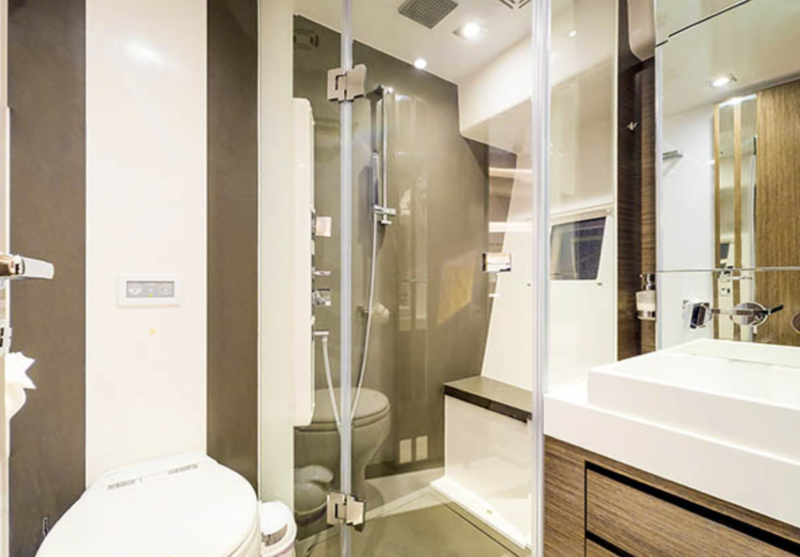 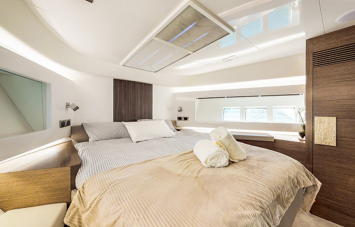 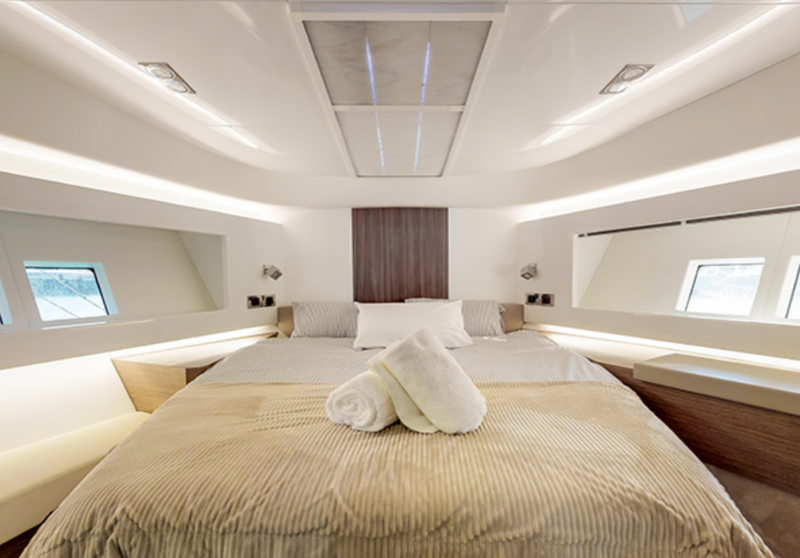 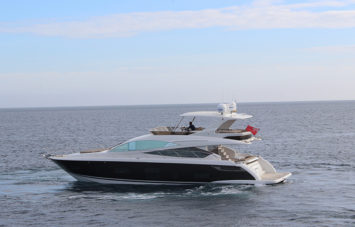 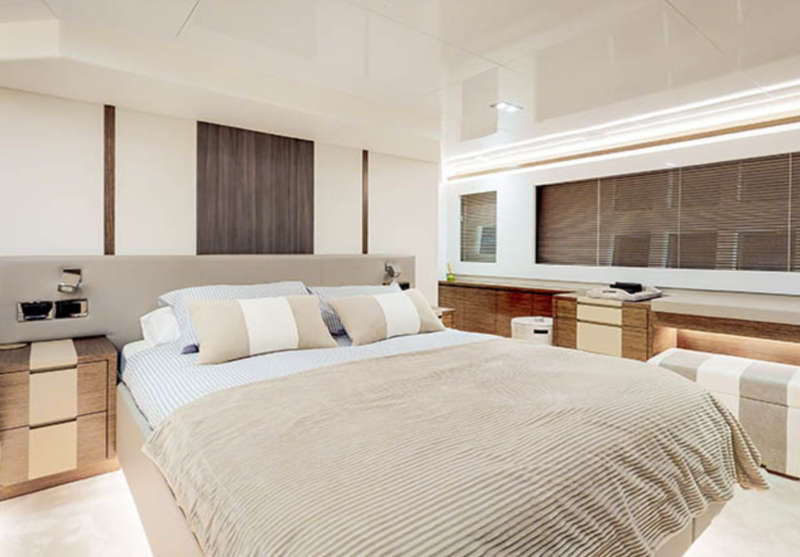 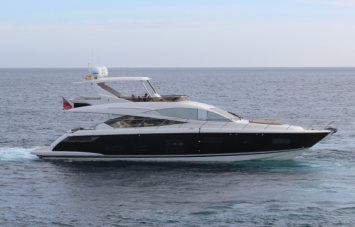 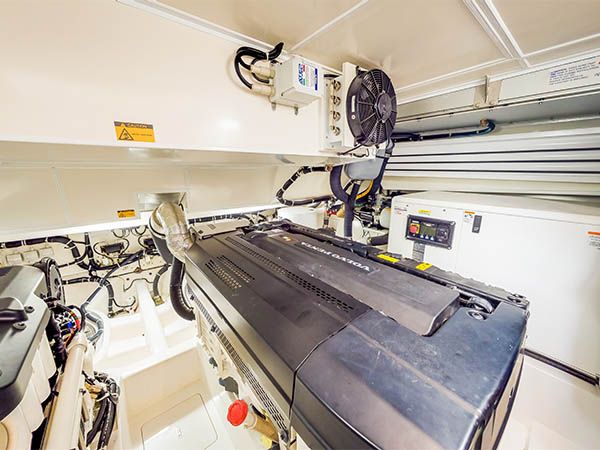 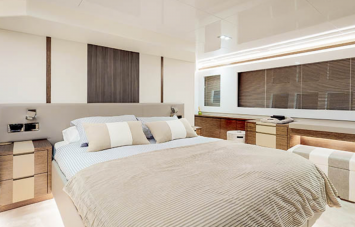 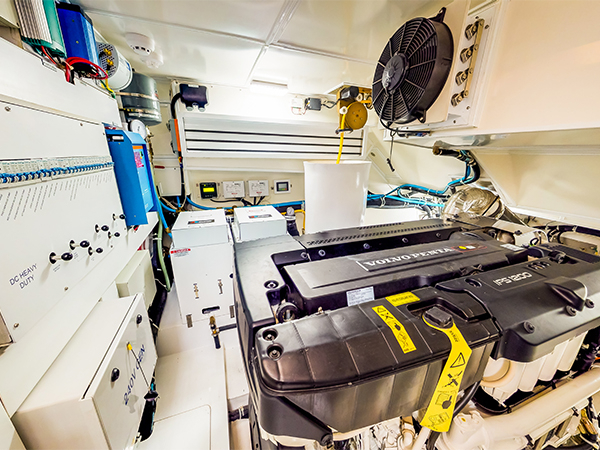 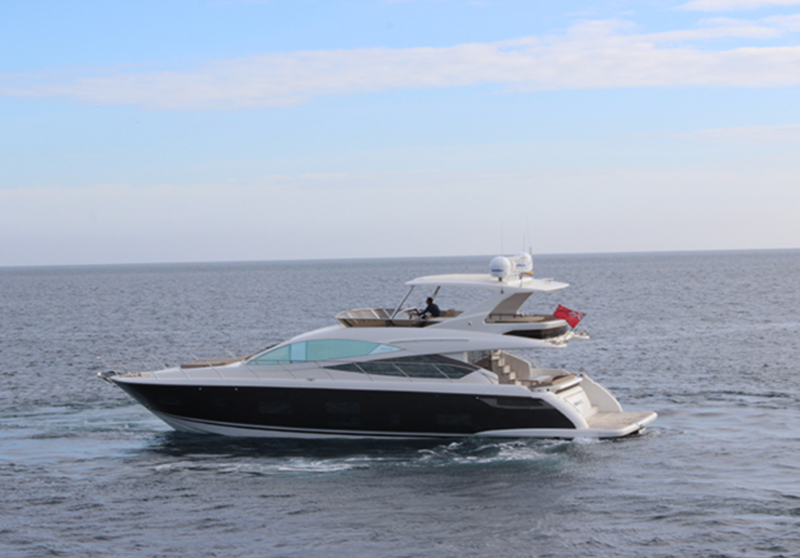 “I’m Done” is an impressive yacht which can accommodate 8 sleeping guests in two double cabins, one twin cabin and one bunk bed cabin, with an additional crew cabin for 2. 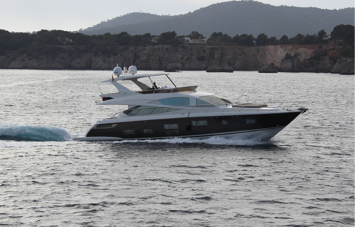 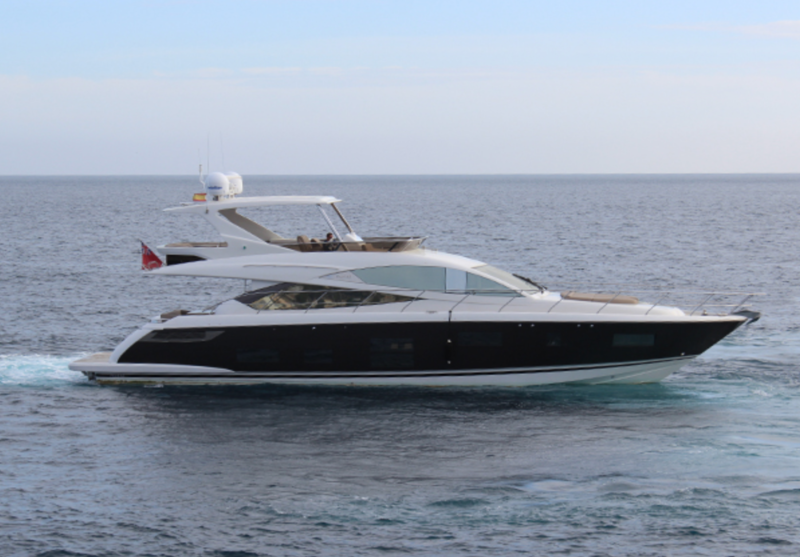 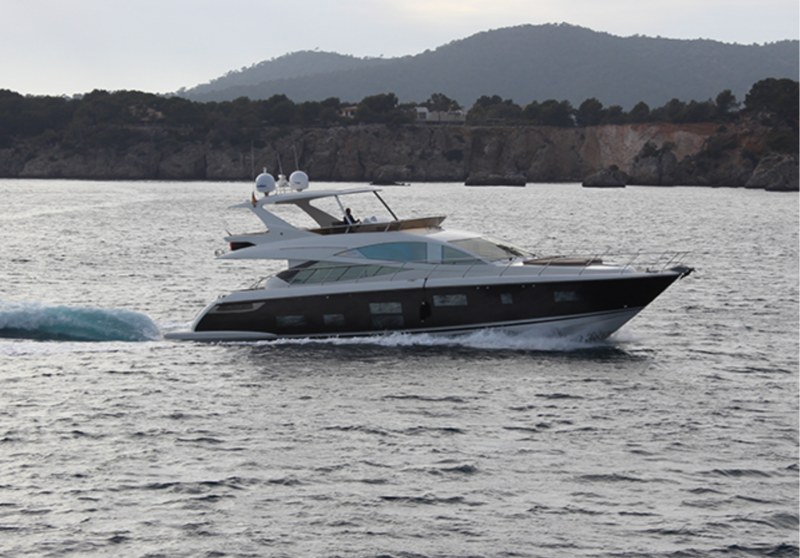 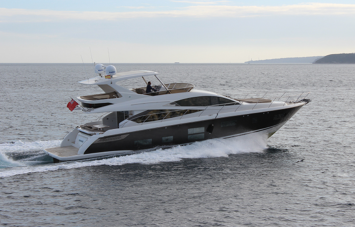 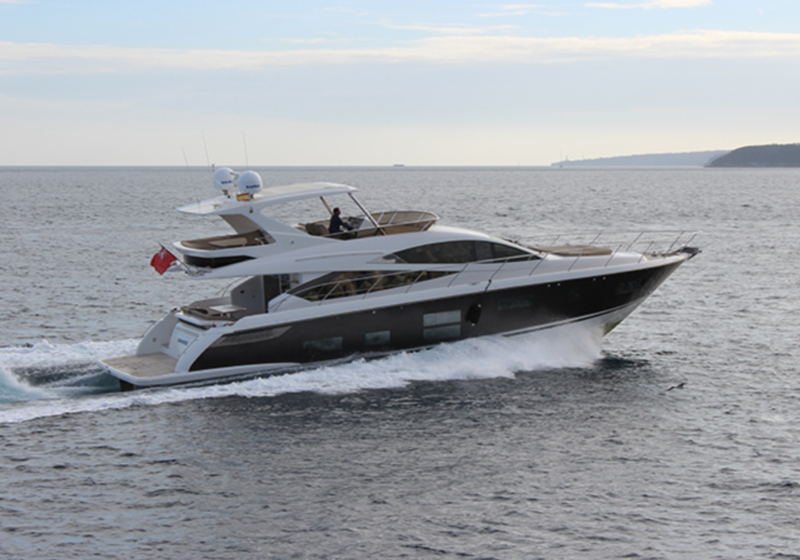 She features an open plan stylish saloon, dining and kitchenette, with adjoining helm station. 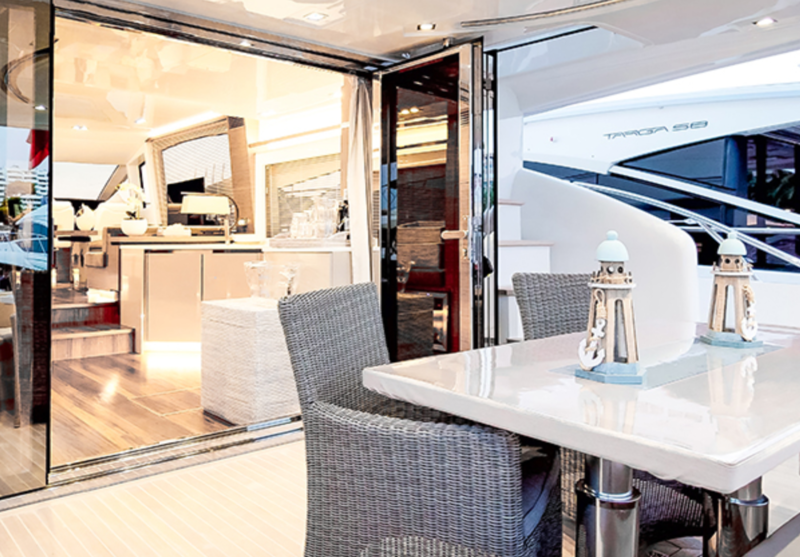 Ample dining table and seating on the undercover rear of the yacht. 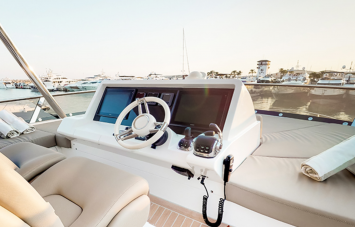 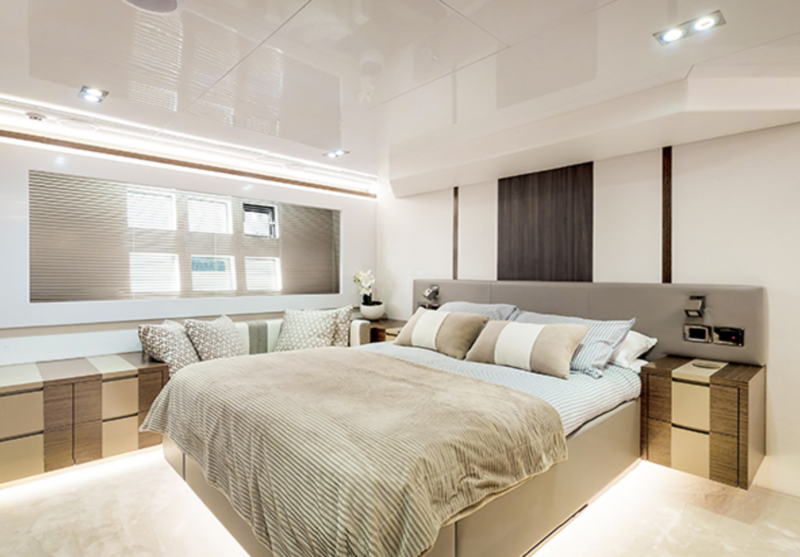 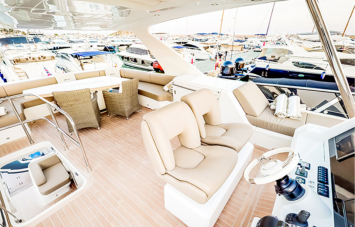 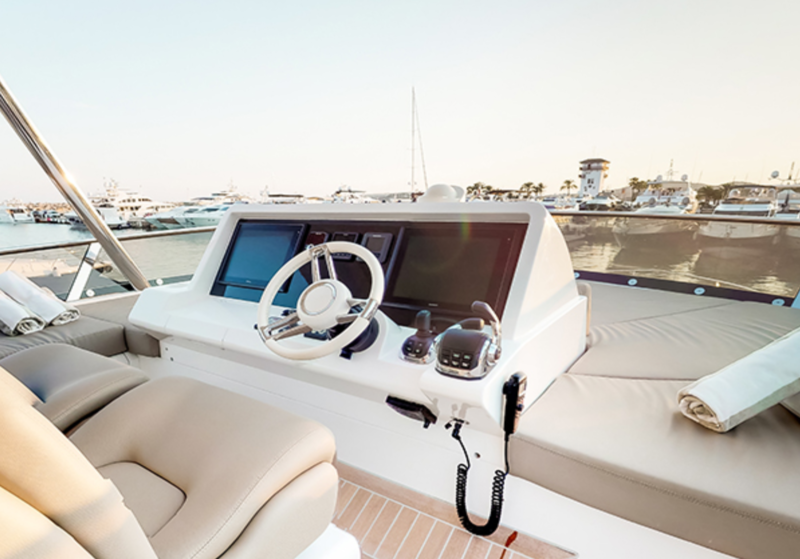 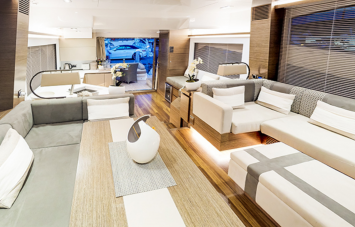 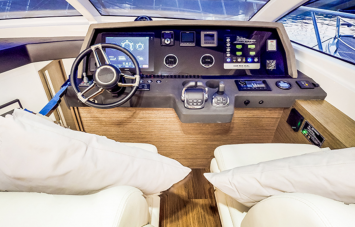 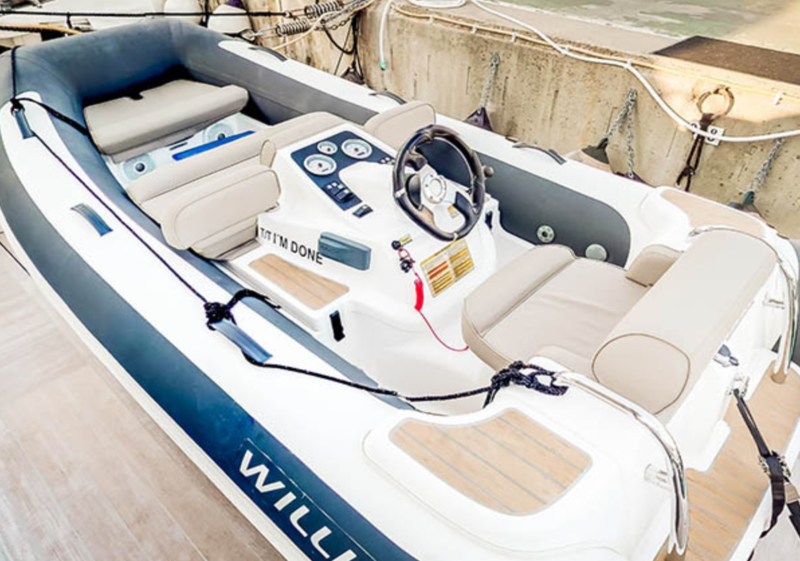 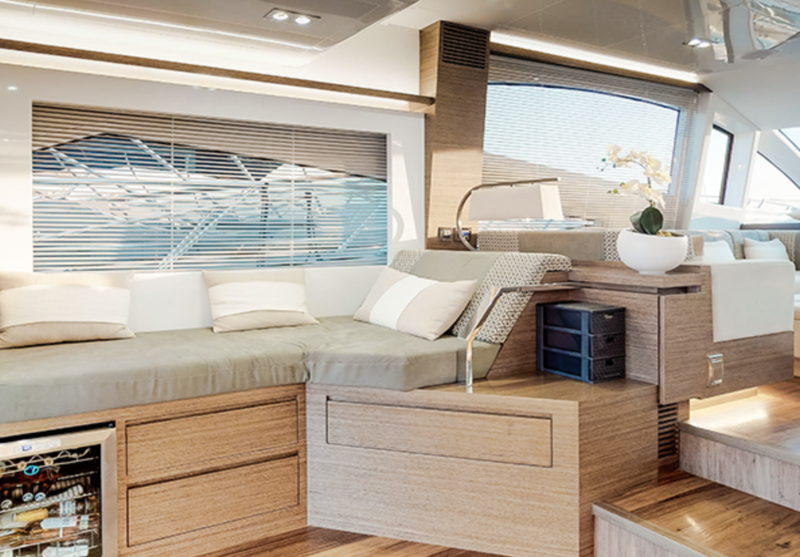 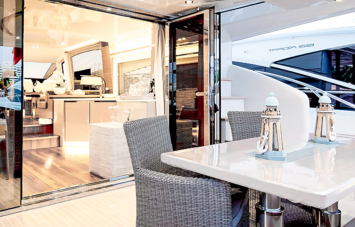 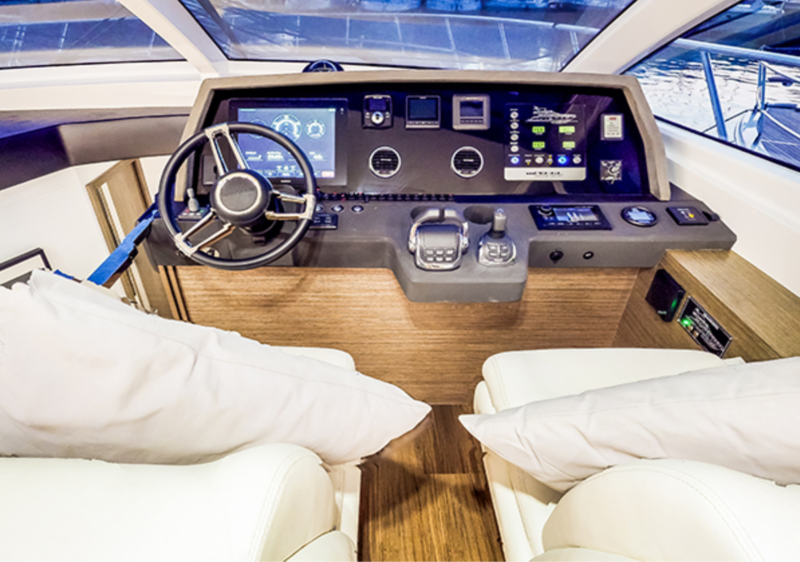 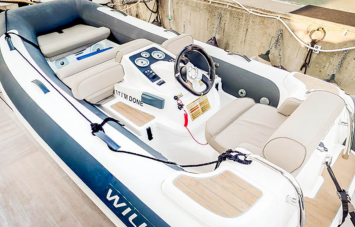 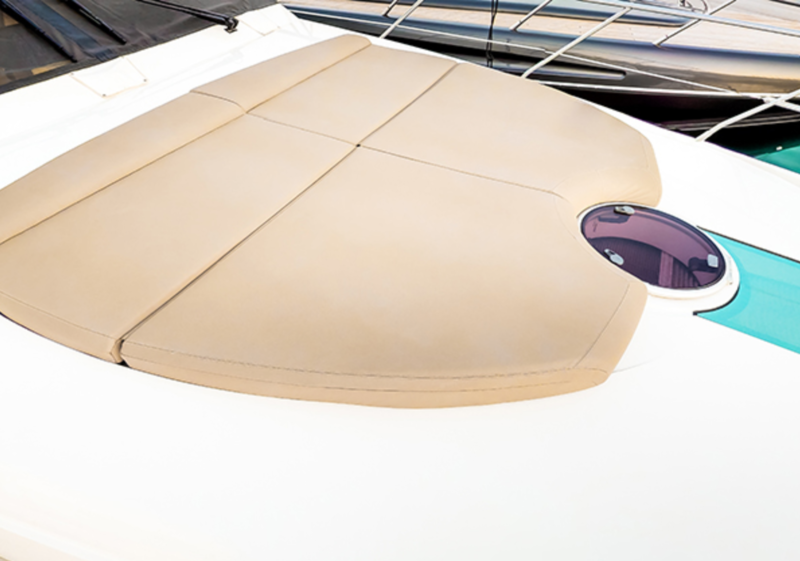 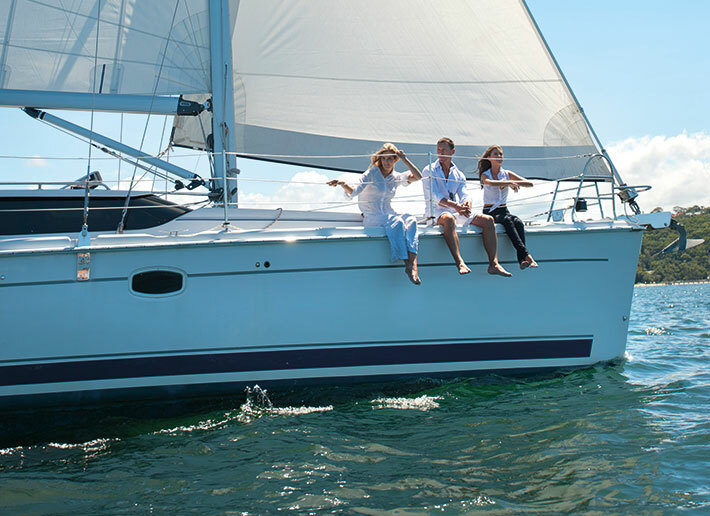 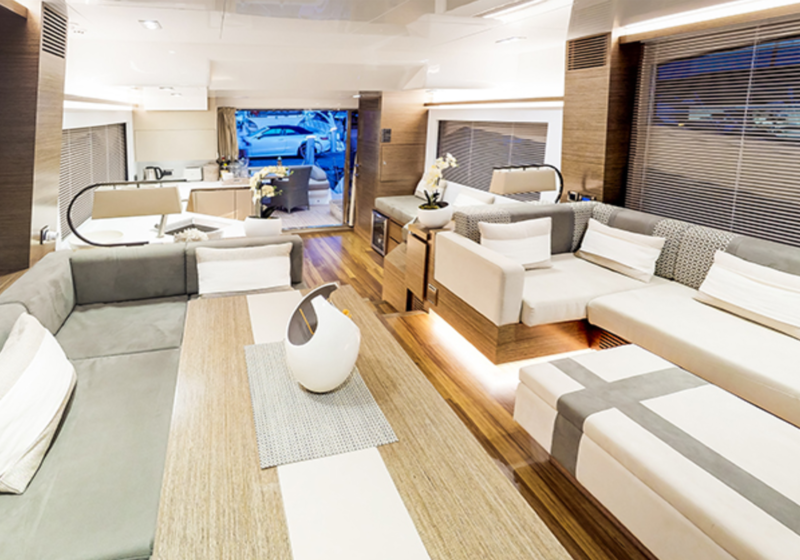 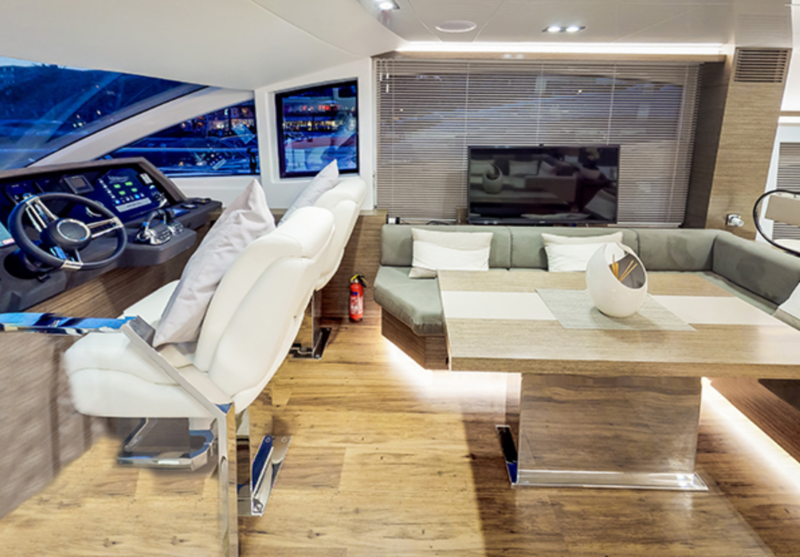 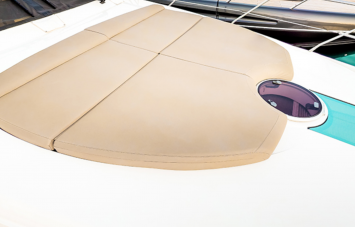 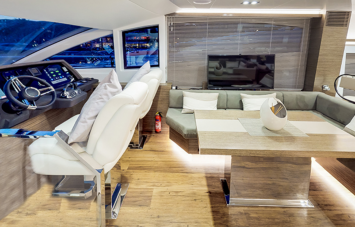 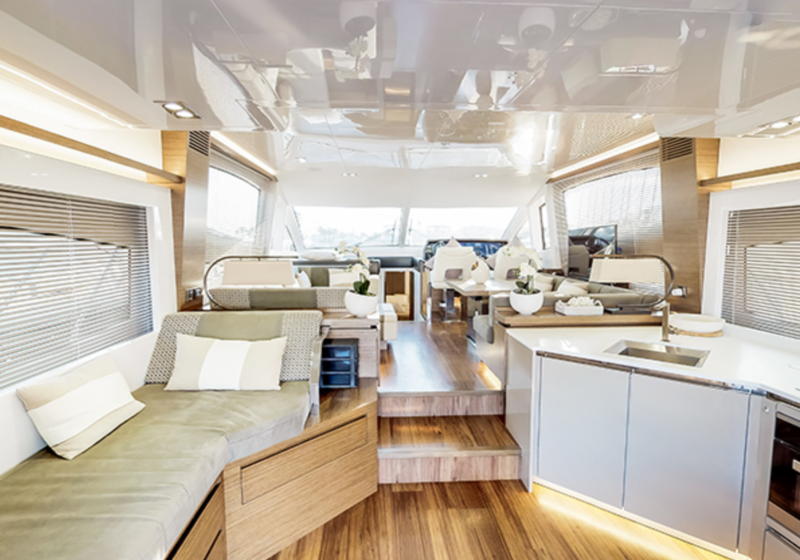 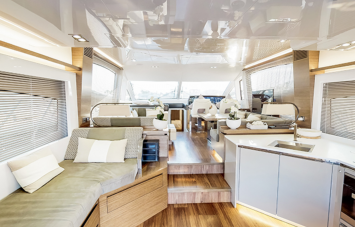 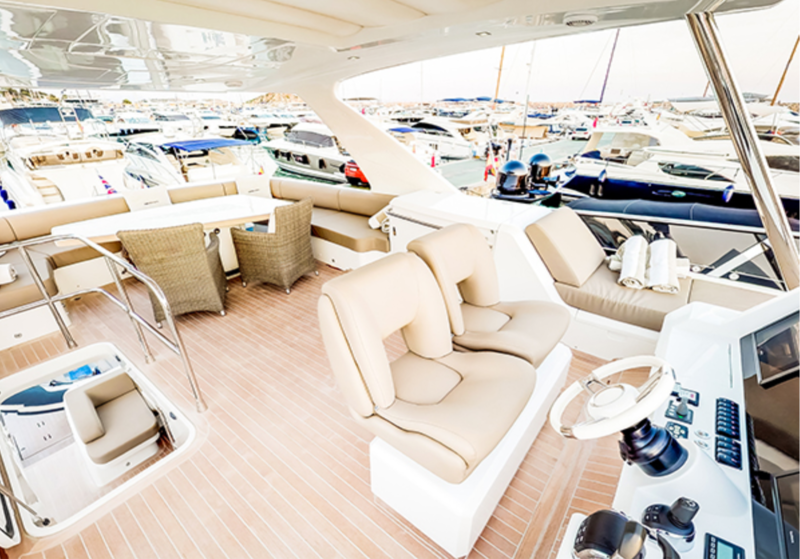 Forward of the flybridge helm position is a comfortable sunbathing area. 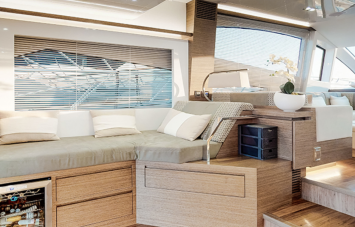 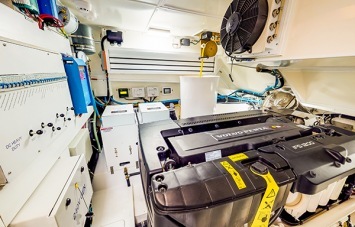 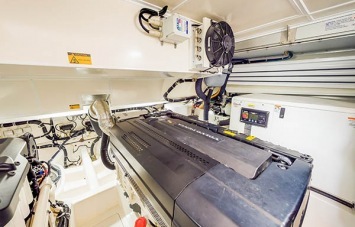 It features further sunbathing on the double sunbeds on the bow.